August 30, 2012 / May K.
The request for the current protein, PII, came from a scientist who is working in my department. His little daughter is my namesake, her name is also Maya. So maybe while drawing I was inspired by the famous German cartoon “Maya the Bee”. PII is a signal transduction protein. It can be mainly found in bacteria and plants. PII can control the activities of a bunch of enzymes, trancription factors, and transport proteins. 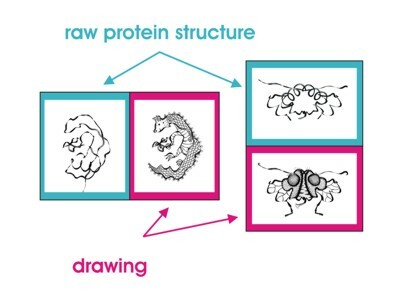 The protein can bind several components involved in carbon and nitrogen metabolism and thereby regulate the levels of these essential substances. However, the exact role of PII for plants remains unclear. 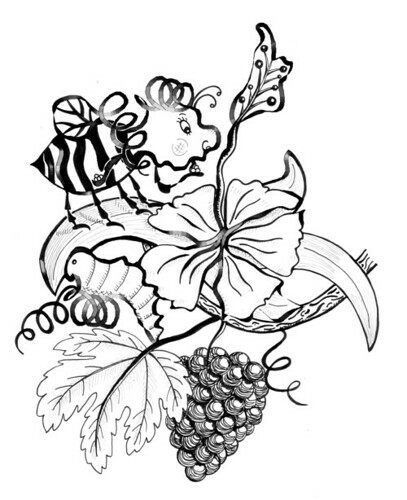 Like the bee in this drawing serves the flower (by fertilizing it), the PII protein contributes to important metabolic processes of the plant. I have no idea what you’re talking about, but I like the drawings. 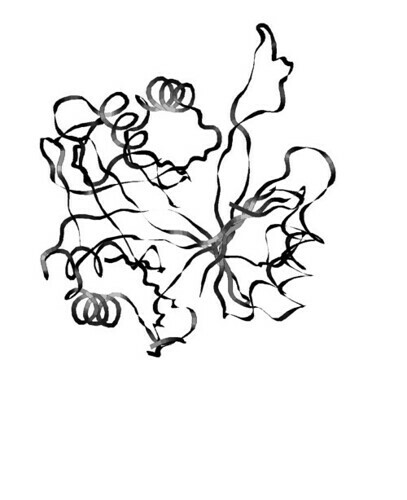 Indeed, this protein is not well known even to biologists… no wonder you’ve got lost in this fuzzy description.